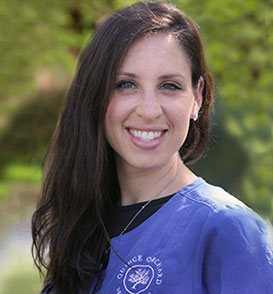 Quince Orchard Dental Care Celebrates Dr. Lauren Lewis! Quince Orchard Dental Care is made up of highly qualified and experienced dentists who go above and beyond to make every visit a memorable one for each patient. Our practice feels a great sense of pride when our dentists’ hard work is recognized and applauded. We are proud to report that one of our highly competent and warm hearted pediatric dentists, Dr. Lauren Lewis, has recently been recognized by our community. Dr. Lewis was recently listed as a runner up in Bethesda Magazine’s Best of Bethesda 2019 for the award category of Best Pediatric Dentist. These awards are voted on by their readers and we are grateful that the reader’s pick runner-up was one of our very own. Quince Orchard Dental Care would like to extend a hearty congratulations to her! We are elated that her outstanding work has been recognized and appreciated by the community. We are also very thankful for the opportunity to have her be an integral part of our team to provide caring and exceptional service to our patients. Get to know Dr. Lewis a bit more by clicking here to read recently published insightful bio which covers everything from her inspiration for wanting to become a pediatric dentist, to her academic background and, of course, getting to know a bit of her personal side! Once again, congratulations to Dr. Lauren Lewis!